Leaked footage of FOX News host Sean Hannity shows what news anchors do while pre-taped video packages air during their shows. 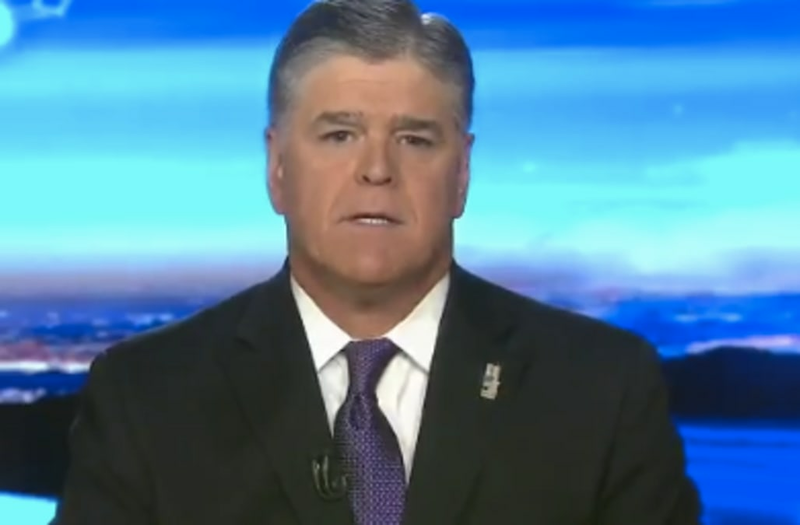 The footage shows what the "The Sean Hannity Show" host does after prompting his viewers to "watch this" -- and one of the things he does to pass the time may shock you. Hannity then proceeds to look down at papers on his news deks, scratch his back, stare into space, chug some water and, quite shockingly, smoke one giant puff of an pre-lit cigarette. Yes, that's right: Sean Hannity smokes cigarettes while he tapes his FOX News show. It's unclear when, exactly, the clip is from, though it appears to be from a recent episode taping. Hannity took to Twitter to respond to the clip saying it's "NOT real" and says he doesn't "smoke cigars anymore." He notes that the company NJoy has advertised on his show before, which implies that what he's smoking in the leaked footage is an e-cig, not a real cigarette. The leak comes a week or so after footage went viral of MSNBC anchor Lawrence O'Donnell, who was shown having a massive meltdown between commercial breaks on his show. Watch the clip in the video at the top of the page.